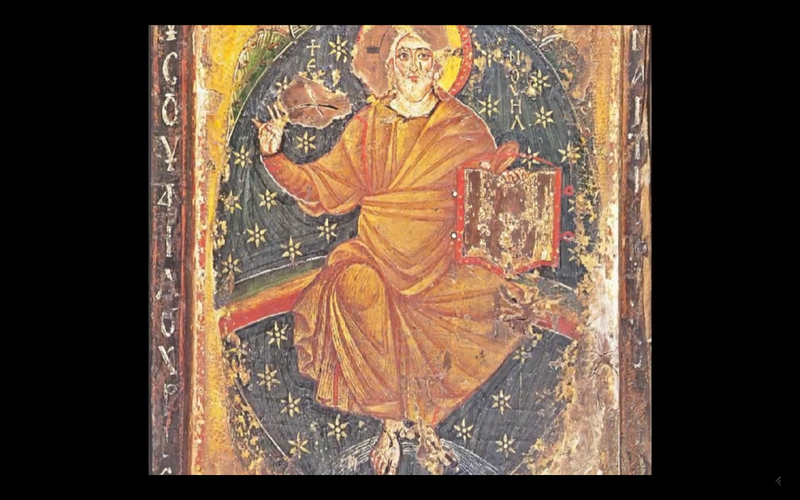 In part two of the William Henry sub-series, Corey Goode, and David Wilcock explore more examples of iconic art from antiquity. As was discussed in the previous episode, the use of certain consistent symbolic elements within these art pieces is suggestive of a stargate, portal or wormhole. 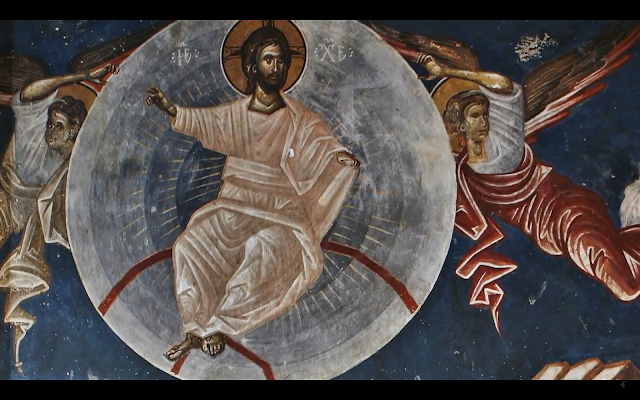 Jesus is seen sitting atop or in front of a blue sphere attended by angelic hosts or ascended masters. In many cases, Jesus is holding objects that convey a specific meaning or using hand gestures to signify something of importance. Henry contends that the images are gateways or portals in their own right, meaning—the images have the capacity to transmit deep universal truths to an observer simply by looking at them. Wilcock refers to the work of Wilhelm Reich, a German scientist from the early mid-20th Century, known for his pioneering research on orgone energy. According to the research, Reich observed microscopic blue spheres around newly forming cells, to which he asks Goode if there is any relation to the Blue Orb beings, one of the five Sphere Being Alliance races. In a shocking disclosure, Goode reveals that the energy barrier that the Sphere Beings erected around the Solar System (trapping races inside while keeping others out), is one of the Blue Orb beings. Henry mentions that the ability to increase and decrease the physical vehicle in size is an ability imparted by ascension. The concept of fractality or As Above, So Below is also represented within the iconic images presented by Henry. This is expressed within the images in several different ways. Henry claims that one of the teachings of the Tibetan Rainbow Body, the technique of light body ascension, is also taught to 13 other star systems. The idea that events on Earth affect life elsewhere in the cosmos is hardly new. Congruently, this point harmonizes with the narrative provided by CG, who says, the Sphere Being races are "karmically tied" to humanity in some way. This is one of the reasons they came here at this time of transition, to provide assistance and support. The Ring of Cosmic Sovereignty is an object held by Jesus in one of the images presented by Henry, which he says, represents a crown or royalty. As we will discuss in the analysis section, the concept of sovereignty, universal consciousness, enlightenment, and ascension are intimately connected. The Man of Sapphire Blue is a non-Christian inspired work from the Renaissance period wherein a mystic, Hildegard of Bingen, depicts a man standing in concentric blue and gold rings. This figure apparently came to her in a series of visions, which she rendered into a series of prophetic writings that, according to Wilcock and Henry, have proven accurate over the years. Henry cites the man's hand position, both palms facing the observer, as an indication that the being is transmitting energy, again suggestive that these icons are dynamic images meant for activating consciousness. Before we begin this analysis, all references to mind and consciousness below are integrative of emotions and intuition. The mind is not only intellectual it is also creative, intuitive, and holistic. As such, when referring to mind, it is a reference to both analytical and logical processes, as well as emotional and intuitive processes. The use of filigrees on adorned official documentation, often employing the color blue (in the examples below), represents a portal or gateway into the realm of mind or the metaphysical universe. 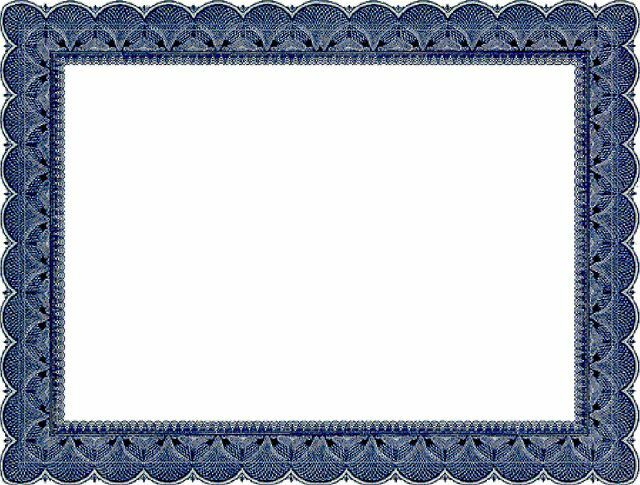 Official documents normally bear these artistic borders on certificates, bonds and negotiable instruments for a specific reason. The realm of causes, also known as the causal plane, is where ideas, desires and the methods for achieving them reside. The causal plane is primary to the realm of effects—the material or physical world. "First things first" – is a reference to the realm of causes or mind, that before we can accomplish something in the physical, the proper internal state of consciousness must be invoked. This is one of the core allegories or teachings of the iconic art presented by Henry. The blue orb beings and depictions of blue portals or stargates are also connected to the realm of mind and consciousness. The Sphere Being Alliance, according to Goode, is a high-density order of life, which has ascended so far up the scale that they no longer need physical bodies. They exist in a state of pure consciousness. For human beings, the closest thing at hand is the realm of imagination or mind. Only within imagination can we conceive of life without a physical body. Also, consider that the body itself is a community of other living things and that, as higher order beings, we inhabit or indwell the body; again suggesting the mind and consciousness can exist in a pure form. Consider that when we imagine doing something (normally referred to as setting a goal, forming a desire, concocting a plan or objective), it initially exists in a state of pure consciousness, the same realm where these high order beings apparently reside. In other words, a part of us is already operating within this realm of pure consciousness or mind; but unlike higher evolved races, we use a physical body to gain experience which catalyzes the mind, triggering growth. For example, the body observes and the mind generates meaning. But these higher orders of life are able to catalyze their consciousness without using a physical body, existing beyond space and time, just like the mind does. The third density, according to the Law of One, is represented by the color yellow. The fourth density is represented by the color green. And the fifth density is represented by the color blue. As such, the symbolism within this model suggests that the color blue is of the mental or metaphysical planes of existence, where life is more mental than material. Therefore, these higher order beings are associated with the color blue because they hail from a density of life that is above the fifth. The color blue is also connected to communication, within the Vedic chakra system as well as the Law of One. Communication is a metaphysical enterprise; the fruit of successful communication is the transmission and receipt of ideas, an agency of mind. These are metaphysical things or constructions of thought, which once received, change the being in their perspective and resulting desires. This is one reason why the color blue is intimately connected to the metaphysical realm, and also why it is used as a key element within iconic imagery. The overarching message is that what is contained within the ring of blue, or sitting atop, is partially meant to represent a deeply symbolic or allegorical message. The scope of the messages transmitted in this way is not singular but contains many layers of meaning, each with a specific message or element and often connected to each other. On Earth, we use legal instruments (documents) in the same way iconic painters did, to refer to the realm of mind and consciousness. 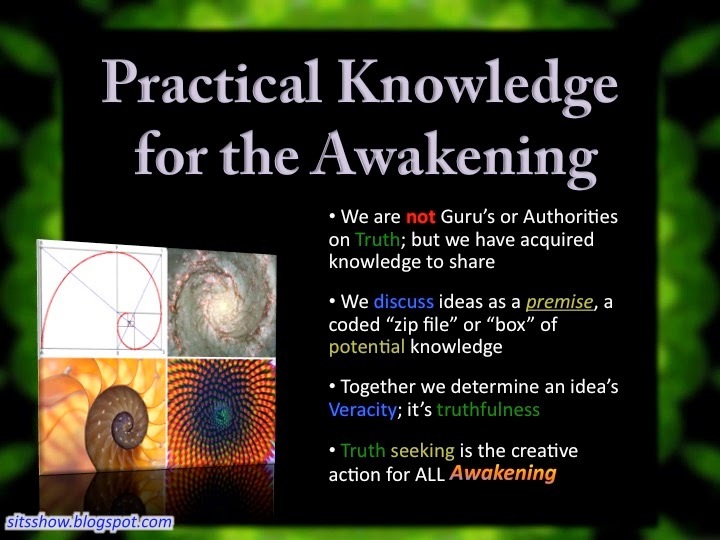 What is contained within the document is a communication, a set of ideas that are metaphysical, existing in a state of pure consciousness—just like ascended beings do. This is important to understand because it relates specifically to higher density realities which are represented in iconic art pieces. Before we analyze that we shall review how these symbolic portals or stargates are used in our world today. Image Source. Blue portal symbolism drawn around official documents. Briefly, the world of fictions or metaphysical things is the foundation of the legal or justice system. The parts of society that are metaphysical are contracts, trusts, legal codes, policies, corporations, governments, and so on, and exist only as ideas within the mind. Anything that is metaphysical, like a name, is known as a legal fiction within these schools of thought. The concept of legal fictions (which again is simply a metaphysical thing that exists only within the mind) is a crucial concept to understand for many reasons, especially when deciphering iconic symbolism. Fictions are metaphysical things (ideas) that the mind employs to represent other things, which could be physical or metaphysical in nature. Your name is one example of this, an arbitrary metaphysical thing (a thought-form) that represents an entity in the material realm, your body. It is fictional because there is nothing about your physicality that reveals an association to this name, save the fact that you choose to use it. This name is not printed on your forehead, it is not encoded in your DNA, it was arbitrarily given to you by your parents at birth, and by way of social convention, you continued to use it after gaining self-awareness. The point is, a name is fictional or metaphysical, but our use of it has real effects. We use legal fictions to facilitate co-creation. When two or more embodiments of consciousness come together to affect reality (a general definition for a contract), they use fictional or metaphysical things, ideas, to facilitate the process. Words are also fictions because it is a physical symbol that has a metaphysical meaning. Without a mind and consciousness to assign meaning to the symbol, a word is meaningless; it is some just lines on a piece of paper or a sound-wave ringing through the air. What we're discussing is the mechanics of symbolism or that things (whether physical or metaphysical) can represent other things. This ability for an observer (an embodiment of consciousness) to recognize the metaphysical properties of a thing—its meaning—facilitates co-creation with other embodiments. Without a capacity to know and comprehend meaning one cannot participate in certain activities. For example, a dog can understand symbols to a certain extent. It can be trained to know that one hand signal or another means sit down or stay. However, a dog is not capable of understanding complex metaphysical things, like sentences or written words. And if we look at all known forms of life, the greater the capacity for metaphysical comprehension (the ability to decipher meaning), the greater one's capacity to co-create with others. In other words, the more expanded and integrated a mind becomes, the more powerfully it can realize what it desires or imagines—increasingly empowered skills of co-creation. The key concept to understand here is that in our world, the more one evolves in consciousness, the more the use of fictions or metaphysical realities takes place. The more consciousness expands or evolves, the more powerfully it can be used to see far or plan and coordinate with others to affect the physical world. And the primary tool we use to navigate the world of metaphysical things is the mind. Consider that everything that has been created by human hands was first an idea held within the mind. When two beings come together to create something, they plan or coordinate their physical movements by using fictions or representations to do it: language. And once they find a harmony of minds, or, once both their intended goals are in agreement, they bring forth this metaphysical thing into manifested reality, an idea becomes an object. Corporeal + Oration = Corporation, to make real through speaking, or to affect reality via communication. In other words, corporations are metaphysical things created by an individual speaking or performing a ceremony or ritual that generates physical effects in reality. As we discussed earlier, communication is a metaphysical ceremony or act, a form of co-creation between two or more minds. And if we consider what corporations are on Earth, then it becomes obvious that without communication (oration) a corporation cannot exist. For example, all contracts, trust arrangements, promissory notes, money, negotiable instruments, mortgages, and so on, are metaphysical things, a creation of one or more beings endowed with a mind capable of consenting to an agreement. The paper document we normally associate to these things is only ever, a receipt, a copy, analog or representation of an originally metaphysical thing. Let me say that again for clarity: a contract is an agreement between two beings of consciousness, which can be expressed as a written document, but the document itself has no power or authority other than what individuals agree to. Without a living being breathing life into a contract, the piece of paper is meaningless. Aggregated Mentis = Agreement, the same mental image (an understanding) reflected in at least two minds, forming a unified mind. As an aside, in our world today we are taught the reverse, that the world of representations, receipts or paper documents we use to codify metaphysical agreements is more important than the minds of the individuals that gave them life in the first place. This is the idea that even if we didn't understand what we were agreeing to, we are still beholden to it. But this is a fallacy. The truth is, the mind and consciousness is the backbone for all fictional or metaphysical undertakings. Therefore, if no real agreement (a meeting of the minds), took place, then there was no valid contract. And, because experience changes the mind, all contracts can be renegotiated in ways that are honorable, fair and transparent. The ability to renegotiate contracts honorably is the quality of a sovereign, one who understands natural law and the fundamentals of a universe based on consciousness. The importance of these concepts is much deeper than the dry tedium of legal documents. What is acknowledged by the legal system in deed but not in name is that the mind is the foundation for all change, and it is this element which is codified within the iconic works presented by Henry in this episode. Why is Jesus able to ascend into heaven? Because his mind has been properly tuned to the universe and that changes his body so as to prepare him for ascension. This is what is meant by the phrase "doing the will of the Father (Creator) in heaven and on Earth." The way he achieves this is by accepting the wisdom (law) pouring into his mind from the universe. Life itself is the greatest teacher. It unfailingly is an expression of universal law, which is the metaphysical thing a mind must learn and understand in order to gain true freedom or sovereignty. One of the best ways to do this is to learn to become loving, forgiving and to service others. These things facilitate honorable agreements (service to others), and show an individual via life experience what the rules of the universe are (law) and what the will of creation is. Both are crucial factors in preparing the mind and body for ascension. If one considers the messages of esoteric schools of thought, the chief focus is to make one's temple, the mind and body, ready to receive the spirit. What we choose to do with our bodies is a result of the consciousness and desires invoked within the mind. The Sphere Being Alliance message asks humanity to go within and change their minds, which in turn raises one's vibration and alters the physical body. While the mind is not directly mentioned, if one carefully considers the overall theme, the focus on the mind and consciousness cannot be dismissed. Here's the Sphere Being Alliance message to humanity, from Corey Goode's website. Every day focus on becoming more “Service To Others” oriented. Focus on being more “Loving” and “Focus on raising your Vibrational and Consciousness Level” and to learn to “Forgive Yourself and Others” (Thus “Releasing Karma”). In order to become more service to others, one must change their beliefs, usually done by gathering information (via experience), contemplating its meaning, and then acting on what was learned to integrate it within one's beingness. All of this is a process of mind and consciousness, manifesting as effects in the physical world. This will change the Vibration of the Planet, The “Shared Consciousness of Humanity” and “Change Humanity One Person at a time” (Even if that “One Person” is yourself.). In other words, before the vibration of the planet changes, the individual must change, and what controls the individual is their consciousness or mind. They say to treat your body as a temple and change over to a “Higher Vibrational Diet” to aid in the other changes. This sounds to many like a “Hippy Love and Peace” message that will not make a difference. I assure you the “Path” they lay out in “Their Message” is a difficult one. Even on the unlikely chance that these technologies stay “Suppressed”, imagine what a world we would live in if everyone made these changes to their selves? If fear is a turning away or rejection of something, then love must be the reverse, an acceptance or openness to a thing. If one is focusing on becoming more loving then this is another way of saying focus on accepting the truth, which in turn changes our beliefs and resulting perspectives. And again, experience itself is what makes all this possible, which is the primary venue the universe uses to transmit knowledge of universal or natural law into the minds of evolving creatures. But when we fail to change ourselves, which is another way of saying change our minds, and become distracted with the material world, the true importance of the Sphere Being message is missed. This core message is that a change in consciousness is the goal (mental evolution), which affects the physical world. But the effect itself is not the reason to change. By this I mean, if the only reason we want to ascend is to gain enhanced abilities so we can avoid life's challenges, then we've missed the whole point of the evolutionary adventure. Ascended abilities are a secondary effect of realizing universal consciousness or agreeing with the universal mind, doing the will of creation. When we acknowledge that our choices affect other things and beings (the universe) and harmonize our mind and will with the all, we've achieved a state of enlightenment, sovereignty, self-mastery, and ascension. A consequence of this internal state of being, which is a reflection of universal mind within the creature mind, is the development of ascended abilities. It is this crucial concept of gaining more freedom of will as a result of understanding and living universal law which is expressed symbolically in iconic art in As Above, So Below symbolism. But if we become distracted by effects (material realm) and forget about the causes (mental realm), we've lost touch with the big picture and the universal plan for ascension. The word Holy is a reference to this state of being, whereby we balance our personal desires against universal truths and the whole of existence itself, a state of universal consciousness. This last section because it infers that we must not become enamored with the effects of change, and instead focus on the process of change itself. This process, as we discussed above, is metaphysical, an agency of mind. For example, one can observe a seed growing into a flower, but without a mind it is not possible to recognize that the seed turned into a plant, which then matures into a flower. If one saw a seed next to a flower the connection that they are the same organism would not be easily recognizable without a mind to assemble the pieces of experience together. Our world today is lost in a state of confusion. We've become focused on effects and forgotten about causes. But it is the causal realm of mind, the consciousness which we invoke to do everything we do, in addition to their effects that is the most important. I think this is what the rainbow body technique used by Tibetan monks is implying, which is to "make every thought a loving thought." The reasons we invoke to motivate our actions reveals how evolved we truly are in relation to our universal potential. When we make our reasons universal in scope, then we've started to walk the path of universal consciousness, a truly sovereign state of being. The as above, so below gesture present in most iconic images (see examples below) is symbolically representative of universal consciousness. This is a state of mind wherein one acknowledges the fundamental interconnectedness of all things, which in hermetic traditions of natural law is described as the Principle of Correspondence or fractality. 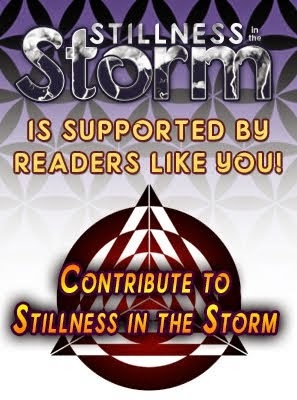 The implication of this symbolism is that the being represented within a blue sphere or framed by filigree is a mental image, not a physical one. Just like official documents use a border of filigree to represent a metaphysical thing, so is the symbol of Jesus attaining universal consciousness expressed as a man sitting in or atop a blue sphere, bordered by adornments. A physical effect of this state of being is the ability to travel through the universe using pure thought or consciousness. Consider that the body is where the mind and consciousness is "housed." The outer temple is the body; the inner temple is the mind. The heavens represent the universe and the Earth represents the local environment or space-time. 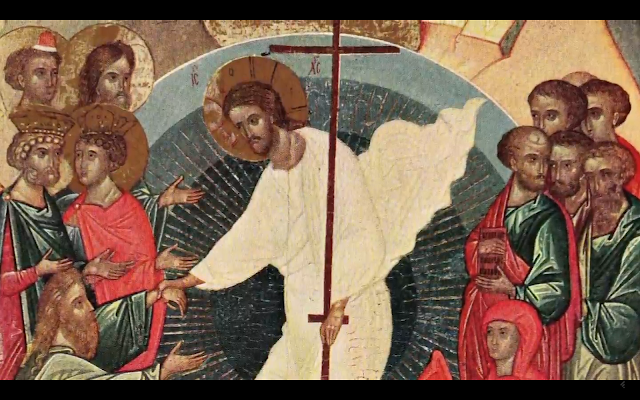 Again this is suggestive of As Above, So Below symbolism, and that Jesus has attained universal consciousness. 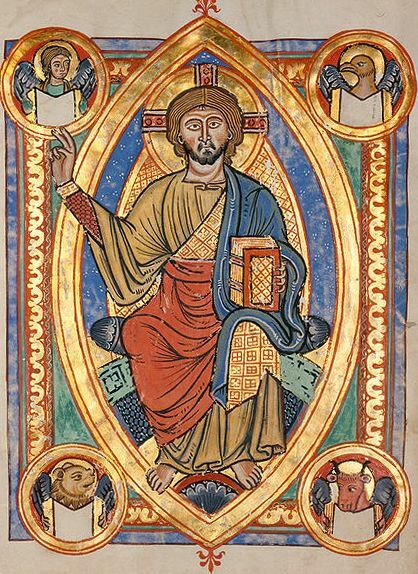 In the above image, Jesus is pointing up with his right hand, the hand of action, synthesis, or creation, and his left hand is holding a book. Books within esoteric imagery often represent universal or natural law, the rules of the universe which humanity must understand and live by in order to ascend. The suggestion here is that one must fully understand universal law before one is pure enough to ascend. And if one considers that universal law are the rules which allow free will beings to work together without harming each other (honor), then to know the law makes one free. The more knowledge one has about the law the more free they become as it is acted upon because they are able to direct their will in ways which do not harm others. This has been called a state of self-mastery, sovereignty or ascension. In other words, Jesus is sovereign, not because he is "the chosen Son of God," but because he has done the inner work of understanding the law and actually live these principles within his life. Knowledge of law without changes in one's behavior is fruitless. To know the law but still act lawlessly indicates one is not sovereign. The Cabal know the law but act lawlessly. But true sovereignty is a merger of the physical and metaphysical realities, in that, one cannot be sovereign in name or word only. The Justice card from the Tarot deck is another symbolic expression of universal consciousness. The figure, wearing a crown represents sovereignty or royalty. 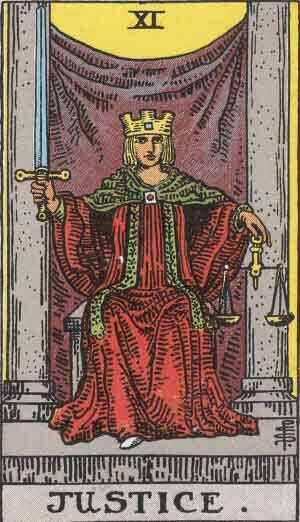 In his left hand he holds the scales of justice, indicating that he is able to make balanced and truthful judgments, a prerequisite of which is knowledge of natural law. Judgment is a metaphysical activity, an enterprise of mind. The sword in his right hand represents action, the body he uses to bring life to metaphysical ideas. The artist depiction of the Blue Avian Raw-Tear-Eir just so happened to use a hand gesture that symbolizes natural law or As Above, So Below. But the Cabal and dark occultists also use this symbol, which many have wrongly assumed is evil in origin. However, the negative force on our world must understand law, for the same reason the positive forces do. In order to manifest one's desires (whether positive or negative) one must understand law. As such, dark occultists employ the same symbolic elements in their iconic works. 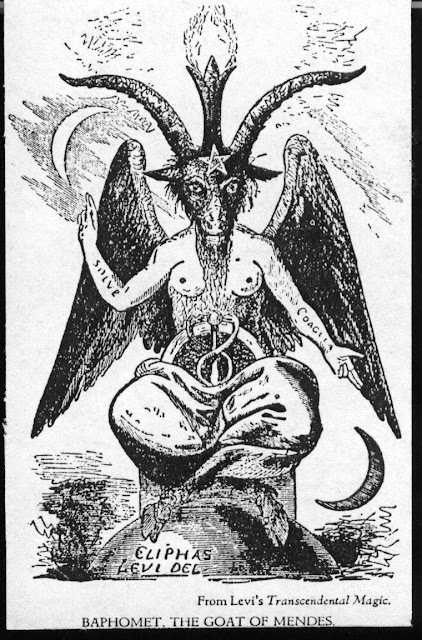 One of the most famous is the symbol of Baphomet. 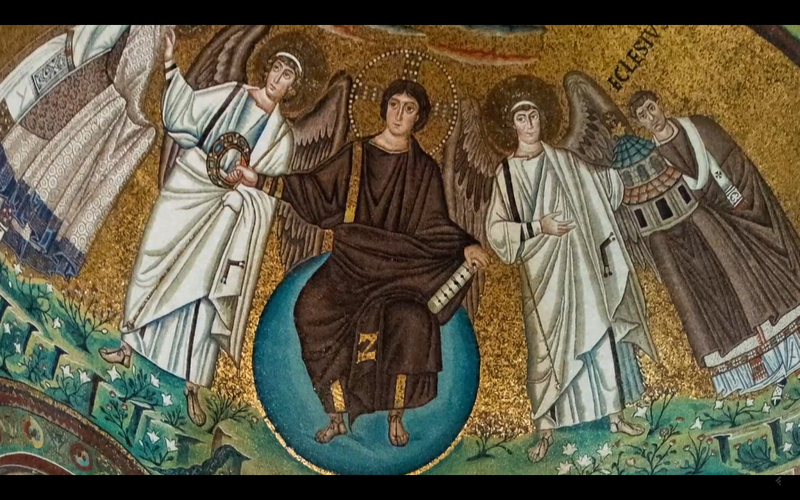 In the final analysis, the seemingly divergent concepts of law, spirituality, ascension, manifestation and mind are all connected to iconic images. All of these things are key components in understanding the destiny of humanity and the evolving nature of time and space. We begin the adventure of evolution knowing almost nothing. We're born into the world having lost almost everything we knew from the previous life. But slowly as a synthesis of experience and contemplation, we begin to understand how life works; we begin to make contact with law and create understanding of it within the mind. As a society, humanity is still in an infancy stage of consciousness evolution, but some brave souls have chosen to abandon the status quo and maximize their potential. Those individuals who seek truth above and beyond what is socially acceptable, initiate themselves into higher consciousness. By a slow and careful process of receiving knowledge and acting on it, we begin to prepare our temple for ascension. Iconic images are a multilayered expression of deep symbolism. The great master, as he is called, Thoth, who also incarnated as Jesus, according to the Emerald Tablets, and other works, said "these things you shall do and more," meaning we are all capable of such things, but only if we seek the path and walk it with both feet. The seeds of sovereignty exist within each of us, but what we choose in life determines if it will be watered with consciousness or wither away into dust. While we can be distracted by messengers, such as Blue Avians, whistleblowers, religious figures, ascended masters, and so on, the same essential message has been echoed throughout our long and complicated history. Perhaps now, in this time of change, humanity will finally be ready to step into the spheres of sovereignty which the great masters of old indwell now. For the preceding episode in the William Henry sub-series, see the following. 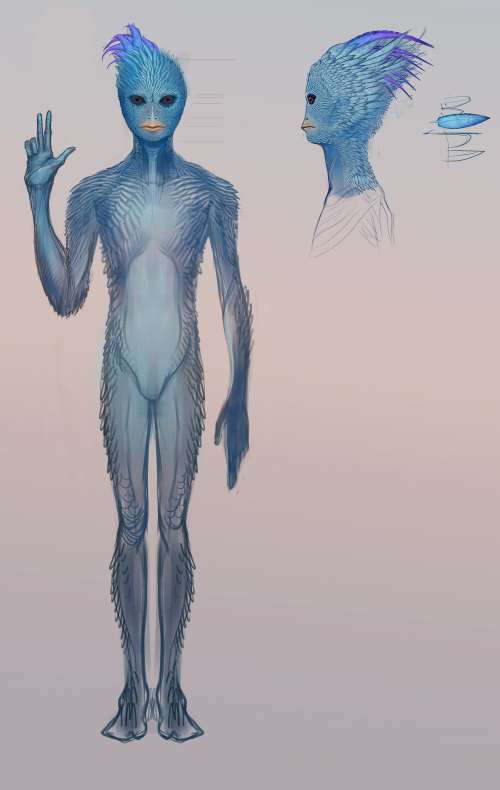 The Sphere Beings are a group of five extraterrestrial races, one of which is known as the Blue Avians, that arrived in the solar system during the late 1980's. Two of the races remain unrevealed; however, there is also a race of Golden Triangle Head beings and Blue Orb beings made of light. Over the course of 20 years, they began bringing massive spheres into the solar system and surrounding area, some of which are the size of Jupiter. This is in an effort to down-step galactic energy waves, which are slowly changing life as we know it. These spheres are cloaked and not detectable by the surface population of Earth. 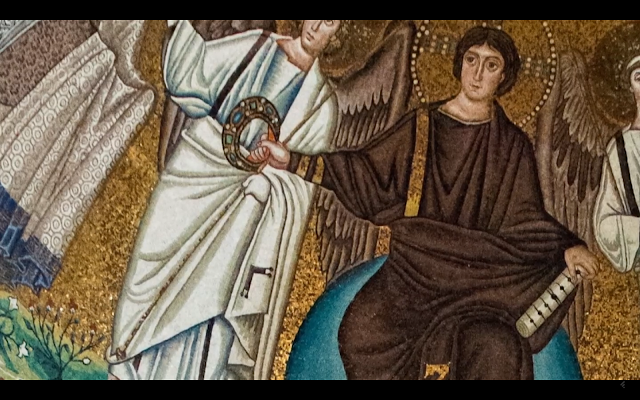 Hidden in plain sight, centuries of sacred artworks have tried to tell us that we are not alone in the universe. William Henry returns, in this special presentation, to confirm the symbiotic relationship between human beings and extraterrestrials which Corey Goode conveys through the Blue Avians’ message. While some aliens are here for their own benefit, others came where with the intent of helping our conscious evolution. Traces of this influential connection has been documented within the iconography of paintings depicting sacred people throughout the centuries. This interview with David Wilcock was originally webcast June 14, 2016. Transcribed by Hughes Prévost. Commentary by Justin Deschamps and Hugues Prévost. DW = David Wilcock, CG = Corey Goode, WH = William Henry. DW - Alright, welcome back to Cosmic Disclosure. I’m your host, David Wilcock. We've got Corey Goode here, the insider’s insider. We have as our special guest, [the] mythologist [and] art historian William Henry. And the reason why I really like what Henry has done is—first of all, he’s been around as long as I have. He’s a real veteran in this field. But more importantly, he’s talking about ascension from a perspective of bringing in practical data. There’s a lot of people who’ve been around a long time. They talk about this stuff but it’s all, oh, "I’m channeling this, that, or the other." There’s no real reference point [and] no way to prove that what they’re saying is true. William, you’re bringing in hard data. You’ve got things we can look at, things that clearly have a history behind them. 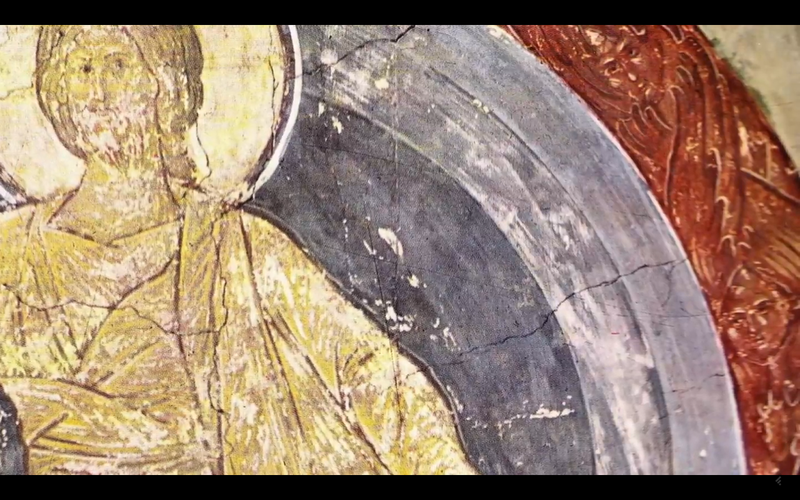 <WH: Yeah> And you were telling us about this painting of Jesus here. Let’s get into that again. The stars that we’re seeing: those stars represent what? WH - And you know, when you research the Dead Sea Scrolls, which were the books of the Essenes, it’s remarkable and even in the Bible too, it’s remarkable how many times they reference to gateways [and] portals. So they’re clearly… and [they reference also to] stairways to heaven. So this is not too far out of an idea. It’s actually in these texts that they’re describing beings coming and going from the celestial realms via stargates! DW - Now Corey, you’ve said that you feel that the stargate itself—the blue sphere itself—is alive? CG - Yes, well, the blue sphere is one of the five [types of] beings in the Sphere Being Alliance. CG - So it’s a higher density being. It’s an actual being. WH - Yeah, right. I would go along with that. DW - So this is like a symbiosis then between the person in the being and then the being itself as the sphere? CG - And both the Inner Earth and Blue Avians have explained that they’re in a symbiotic relationship with humanity, our co-creative consciousness, and our mass consciousness. DW - What’s so bizarre about this is that anybody who’s been watching Wisdom Teachings knows that I did a whole long sequence on Wilhelm Reich [Season 16] and his idea that the precursor for biological life—I’ve always been talking about life [as being] a quantum field effect. Life precipitates out of the quantum vacuum. Well, Reich actually looked at life that was formed that turns into cells where they hadn’t existed. And it’s a primordial form. It shows up as a blue sphere in this case on a microscopic level. But it just manifests! And then the blue sphere coalesces the water or the material around itself and forms life where none had existed. CG - I hadn’t heard that. [Hugues Prévost Notes: I was introduced to the work of Wilhelm Reich in 1988 as I was recovering from a life-threatening illness. At the time, I was experiencing many psychic phenomena such as remote viewing and I was looking for answers. My cousin Marcel Poulin is a professional healer using radionics that I mentioned in a comment of a previous Cosmic Disclosure episode. He was a great admirer of Reich then and probably still is now. He had experimented extensively by building his own orgone devices. The “blue spheres” DW is talking about refers to Reich’s observations that he called “orgone energy.” I have seen those spheres or bubbles directly myself since as long as I can remember. But during that 1988 period, my perception of “orgone” was clearer than ever. The name I had for it was the Sanskrit prāṇa that I picked up years earlier from one of Lobsang Rampa’s books. DW - So this is like getting us a throughline now between micro [and] macro, because you’re saying the largest of these spheres in the solar system are how big? CG - The largest of them contains—our solar system is contained by one of them. DW - Oh, the outer barrier is a sphere. DW - Wow, okay. [It is an interesting point to consider that these Blue Spheres seem to be a consistent element or theme in various stages of cosmic manifestation. According to DW, the spheres can be seen in and around cells in a microscope. According to Wilhelm Reich's original theories, the sky is blue due to orgone. And here CG is saying that the outer barrier itself is a blue sphere. These points in addition to what we discussed above in relation to portal depictions and gateways into the mental realms suggest that angelic beings in iconic art are of a high order of spiritual life. Generally speaking, the term angel is applied to a being who is working as an agent for the divine, an emissary or messenger of God. In the Urantia Book, there are hosts of angels described as messengers as well as transporters. Within the work, the Seraphic Transporters are "angelic orders dedicated to the ministry of transporting those personalities who are unable, of themselves, to journey from one sphere to another," (Source). WH - Well, think about the she-powers [śakti], the siddhi powers, which are the eight powers: instant materialization of wishes [prākāmya], invisibility [antardhāna], and the ability to make yourself as big [mahiman] as you want or as small [aṇiman] as you want. <DW: Right> I mean, these would be part of the consciousness powers of these beings, right? WH - Right, and I love the word “scale” in this context. Jacob scaled the ladder to heaven, so he ascended, right? But scale is also a musical term, so he raised his vibration. CG - Yes. <Smiling> I was about to go there. WH - Right? <CG: Yeah> [He] goes up to the heavenly realms, then scales back down. CG - [He] goes up the octaves and down. DW - William, what’s the teaching? Because you obviously are a much greater Bible expert than I am and these religious texts in general. Are we looking at a…? Is the original fall—how life is created out of this divine perfection? And do we have to resuscitate from that fall? WH - Yeah, that’s the esoteric view of it, the Jewish mystical view, [which] was that Adam and Eve were originally light beings. And then when we were evicted from Eden… Remember the biblical story, [the] Book of Genesis: Eve eats the apple of wisdom and we’re evicted from Eden. Yahweh, the Old Testament god, does two things. He makes a gate at the east of Eden, which we exit through, <DW: Hmm!> places cherubim [at] either side of the gate. And then the thing most people forget about is he made for humanity coats of skin. The traditional view is that these are animal skins that are covering the body. 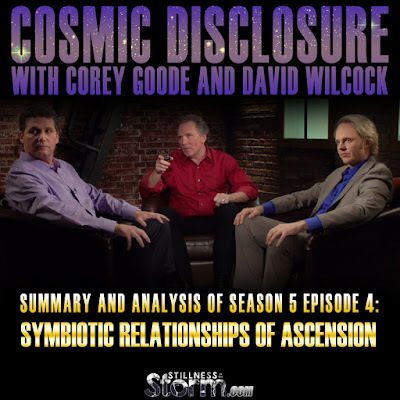 <DW: Right> The esoteric view is… [In the previous episode of Cosmic Disclosure, with William Henry, a synopsis, and analysis of The Children of the Law of One and the Lost Teachings of Atlantis was offered, and similarly describes, in great detail, the fall discussed by WH here. CG - Because they were naked. WH - Right. But the esoteric view is [that] the coats of skin are these skins that we wear, our human skin, because originally we were light beings. WH - Luminous, radiant, perfect beings. That’s the term they used. They were perfect. DW - That’s in that movie Noah with Russell Crowe. WH -Yes it is. Yeah. They drop a line on that. DW - The people of Eden are light beings first. WH - Yes, exactly. That’s such a key part of this as well, because then Jesus is then the second Adam, whose part of his mission is to show us how to reclaim our original light body form and ascend, right? He’s going to show us the way to do this. WH - To get out of here. And I’ve got an image for you, Corey. Look at this. Think about this one. 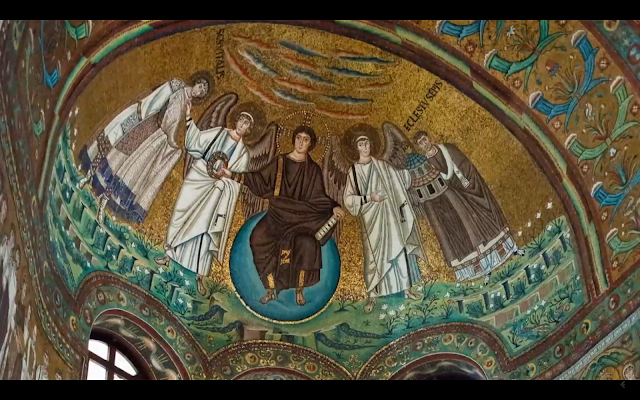 This is Ravenna, Italy, fifth century. WH - Right… I mean, they call this a cloud. But who’s ever seen a cloud that looks like a blue sphere, right? I mean, what are looking at here? The Earth? You can make the argument this is the Earth that he’s on, but no. Going back to the Egyptian images we looked at in the last episode, they’re indicating that this is a sphere of consciousness [at] the very least. It’s also a transportation vehicle as well. CG - A sphere of consciousness is an interesting way to put it. DW - Corey, did these beings say that they’re just doing this for us here, the Sphere Beings, or are they kind of like a galactic or even intergalactic…. CG - This is occurring in this local star cluster of fifty or so stars <WH: Okay> They are somehow karmically tied to [us] or that there’s some sort of not only symbiotic relationship, but there is some sort of attachment that we need to ascend so they can ascend and return to Source, basically. [Co-creation is essentially what CG is describing here. This is one reason why higher orders of life are connected to the lower because ultimately everything is co-creative or interconnected, fractal. The universe itself is evolving as a whole, which of course means that if a part of that whole is not evolving, the whole cannot progress completely. Consider that the universe is organized in fractal "bubbles" or spheres of expression, wherein the parts inscribed by the whole are bound to it. For example, the Earth is partially evolving as a function of the activity of the organisms operating within and on it. Similarly, our bodies evolve and the cells within it do as well. In short, the lower is connected to the higher by degrees of corresponding relationship. The notion that the Sphere Beings are servicing themselves only, or that have only egocentric intentions, based on their desire to personally evolve is inaccurate. One's desire for personal evolution can be harmonized with the desire to service others. And this is the overarching theme or message of spiritual teachings, that eventually when one becomes enlightened they realize that the true purpose of existence is to become a servant or partner with the universe at large. Wherein, our personal goals in life are harmonized with the ultimate goals of creation, a merger of creature will and universal will. This has also been described as the creator-creature covenant or trust, the estate (mind, body and spirit) entrusted to the creature by the creator. WH - Yeah. I’ve come across that in my work as well with the Tibetan rainbow body tradition. Because the Tibetans teach that this resurrection or ascension teaching, the rainbow body, is taught in thirteen (13) star systems, including our own. And you’ve got being coming and going from these various star systems, <DW: Oh wow!> probably through a system of wormholes, right? So if you think about it, Earth then, maybe we’re a colony in a federation—you know, I hate to use the Star Trek term—but a federation of star systems where this teaching is taught. So the question then is—maybe you can answer this Corey—are we the strongest link in this chain or maybe we’re the weakest one? What if it’s us that has to lead the way? CG - Well, we do have to lead the way. The whole message [from the Blue Avians] is that they’re not here to save us. They’re not savior beings. They’re here to give us a message. And we’re to take the message, make the changes, and save ourselves. WH - Yeah, incredible. It’s incredible… to think that we’re linked to thirteen star systems, that just goes up like… and you’re saying it’s fifty (50)? It’s more than fifty? CG - Right. The local star cluster is around fifty or so. DW - Well, William, I’m just really curious where [are] the references for those thirteen star systems. Where did you see that? CG - Right. Some of these are star systems with many stars in them… <WH: Right> like the Pleiades. [Hugues Prévost Notes: For clarity, let's discuss some basic astronomical terminology and concepts. Orion for example isn’t a “star system” but a constellation, which is an apparent grouping from the point of view of a night sky observer, but only from our point of view. While some of the stars in a constellation might be close to one another, in many cases, they can be hundreds or even thousands of light years distant and are not considered part of a true grouping or cluster. The Pleiades on the other hand are a true cluster—an “open cluster” to be precise—for the most part. Here also, some of the fainter stars that look nearby in the two-dimensional field of view are actually quite distant because they’re far away in the depth direction. Strictly speaking, a star system only applies to stars that orbit each other at a relatively short distance, like a binary or trinary star system. WH - Right, exactly. But now the real message here is we’re connected to these star systems even while we’re in our earthly form. And we can call them in. But I love your message and I agree with it. They need us just like we need them. 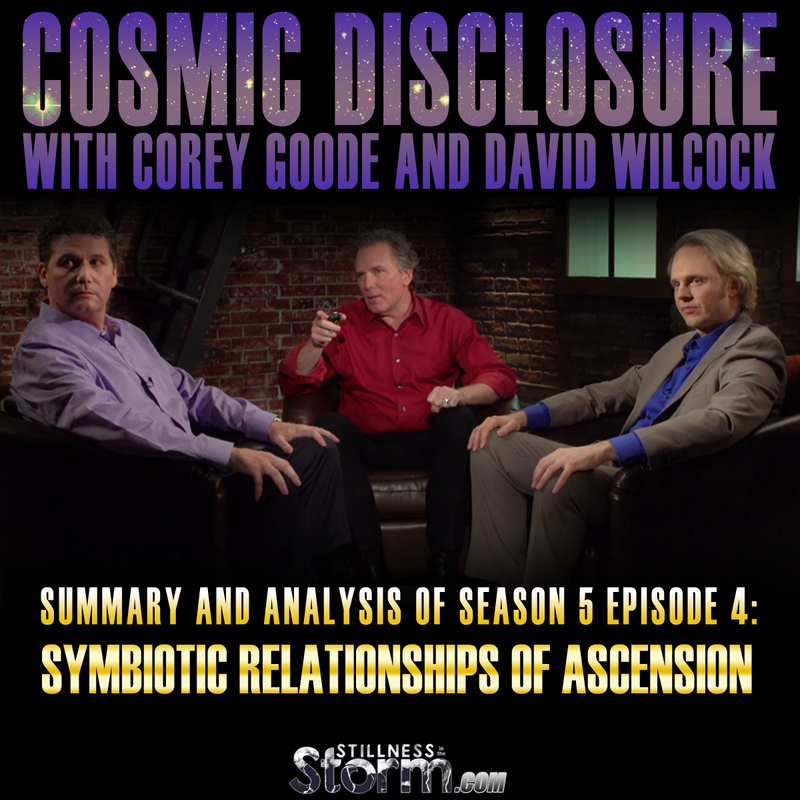 [CG discusses in the episode entitled Cosmic Web that the entire universe is connected energetically. And although mainstream science is reluctant to acknowledge this, within the fields of Electrostatics it is assumed that in order to calculate the electric field at any given point, one must know where all other charges are and have been within the universe. This is a roundabout way of acknowledging interconnectedness or fractality. In other words, everything affects everything else via electromagnetic processes, below the speed of light. Above the speed of light, according to Reciprocal Systems Theory, Torsion Physics, Scalar Wave phenomenon, and so on, there are also energetic connections, which can generally be described as etheric (metaphysical) in nature. If we consider that each object in the universe has a material and metaphysical component, wherein the material portion vibrates in electromagnetic frequency ranges, then quite literally, all electrical objects affect all others via sympathetic resonance or entrainment. And everything we see and touch is electromagnetic in nature. The so-called 100th Monkey Effect is one example of entrainment, explained in detail here. DW - So William, we got… this is… Where are we looking here? Is this inside a temple or something? WH - Yeah, actually this is in Ravenna, Italy, <DW: Okay> in a church in Ravenna, Italy, San Vitale, actually. And we see Jesus again on the blue sphere. DW - Is that gold leaf? DW - Do you think Jesus is holding his crown of thorns here? What is in his hands exactly? WH - That is a crown. It’s also a ring that he’s holding. <DW: Okay> And when you trace that symbol of the cosmic ring, you’ll see that in Zoroastrianism as well. 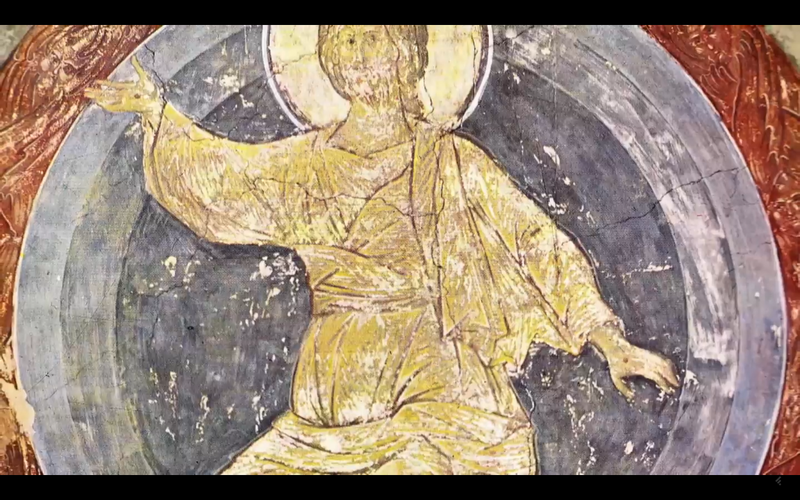 You’ll see it in Sumerian depictions where the god is holding a ring. CG - It’s almost like a seal. DW - What do we got next here? WH - Let’s see. Oh, here’s an angel on a blue sphere. So here’s a celestial being in the cosmos. DW - It looks like he’s surrounded by them. CG - And back then, they did not believe the Earth was a globe? WH - No. Right. Exactly. DW - So this like a matrix of spheres coming in. WH - <Tentatively> Yeah, you can read this almost as an interconnecting or link perhaps of star systems. CG - It could be spirals, those…. <WH: Right, absolutely> inside the spheres. DW - But Corey, you’ve also said that we’ve had a whole bunch of these spheres come into our solar system recently? CG - Yeah. Hundreds and thousands. DW - There it is! WH - Yeah. There it is right there. <DW: Boom!> Yeah. <Changing to another image> So this is a piece of art. 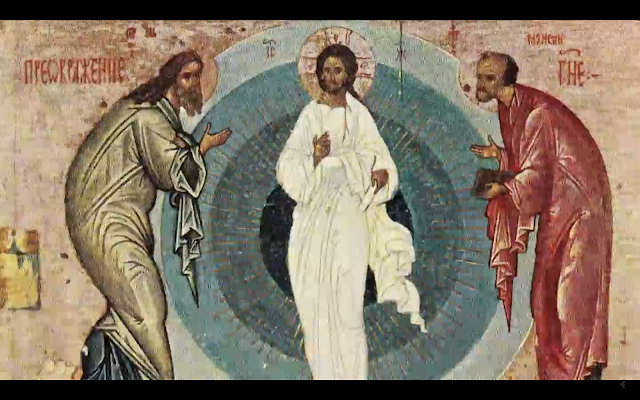 This is a transfiguration icon. This is an event in the Bible. WH - This is before that. DW - But people don’t recognize him. WH - And in the descriptions, the disciples say, “Okay, this cloud opened up behind him.” And that’s what the Bible—your traditional view is. This blue sphere behind him filled with radiant light and the light coming off his body is actually a cloud. CG - Well, you know, people [who] have flown through the Bermuda Triangle, they’ve reported seeing blue mists. WH - Yeah. [It’s a] really important bit of imagery here, because I think when the portal opens, some kind of a mist emerges from it. That’s why they think of it as a cloud, because they probably don’t have a conception of a stargate or a wormhole. CG - It’s so amazing to me that you’ve been looking into this since 2002. DW - Well, you know what I’m thinking of too is the actual physics of this. Dr. John Searl developed the Searl levity disc, where he has these rotating rings and you create antigravity. And that was then replicated by two Russian scientist, Roschin and Godin. They actually got levitation. DW - And what they noticed is once they set up the antigravity field, there was what they called “domain walls,” these bubbles. And you could actually take a thermostat, a thermometer and measure very distinct changes in temperatures. It would get colder as you get towards the middle in very discrete walls, just like you see here: it’s spheres within spheres, evenly separated from each other. <WH: Right> So this is actually physics. DW - This is like what we’re actually [seeing are] these energy fields. There’s a scientific precedent for them manifesting that way. CG - And that scares some people. They think if you shed your skin, you die. <WH: Right> You’ve got to go through some sort of painful death process. <WH: Right> That part, you know, scares people. DW - Well, let’s have another one. Let’s see what we got here. WH - [It’s] another transfiguration. DW - It’s the same thing, yeah? WH - It’s the same thing but look what he’s got in his hand again. CG - [Is this painting by a] different artist [and was it created in the] same time frame? WH - [It’s the] same time frame [but created by a] different artist. But he’s got that stick in his hand, just like we saw in the ancient Egyptian image in the previous episode. <DW: Right> I call it the Resurrection stick. It’s the stick that opens the gates of heaven or hell. So we’re talking about either an actual object or technology, or a symbol for a level of consciousness that these beings possessed. They can come and go, phase in and out. CG - It looks like an antenna, <WH: Right> something that would send or receive vibration. DW - Well, and one of the things… Corey, you probably can back me up on this: one of my insiders is a guy who worked with extraterrestrials and reverse-engineered thirteen (13) different UFOs and came up with eight different method of antigravity. And one of the things he kept saying to me over and over again, he said, “David, you’ve got to remember this: the more technology you have, the less technology you need.” You get an all-in-one device. And that’s kind of like, I guess… The equivalent for you would be like the smart glass pads, right? DW - In the inner-Earth? CG - Right. That ended up being technology. And non-terrestrials wanted us to trade it for trinkets. WH - Wow. CG - And we stopped trading once we figured out it was a technology. WH - Interesting. Wow. [It] reminds me of the Me tablets of the ancient Sumerian stories. The Anunnaki are trading these Me tablets, the tablets of destiny. They’re stones. They’re described as stones. Some of them contain the secrets of ascension, the secret to civilization. CG - So they could be technology too. DW - Yeah, that’s probably the same thing, because you said these tablets, the big thing is stasis. CG - Well, not exactly the tablets, but the stasis, it’s this similar technology. DW - They can alter the flow of time. They can create a time bubble. <CG: Right> Right. WH - You know, and a tie-in too to that is Moses originally had the blue sapphire stones. He made two trips up Mount Sinai, remember? The first trip he goes up and he’s given all the enlightenment teachings on blue sapphire stones. <DW: Huh!> He comes down Mount Sinai, sees the Israelites worshipping the golden calf, and he smashes the blue sapphire stones. And all the initiates are going, “Oh, there they go!” And then he goes back up Sinai again and comes back down with the Ten Commandments, the penal code. So those blue sapphire stones are super-important. CG - We can’t wield it. WH - We can’t wield it. Exactly. CG - [We] cannot wield the power yet. WH - We can’t wield this power yet. And so they took away those blue stones. And I wonder if that’s what you’re describing, because [of] that sapphire blue description: why are they blue sapphire unless it relates to the blue spheres? DW - Well, just on an exoteric level, it’s really bizarre that you have these Egyptian paintings where you have Horus or Osiris with this staff, and then the same kind of thing around him. Now you see Jesus [being] portrayed with this. WH - Exactly. It’s not… <CG: Same…> I mean, people would look at that and argue that’s not the cross. But it’s not the cross because the cross he’s crucified in or upon would be much larger. <DW: Right> So this is something else. DW - And it has the T at the bottom too. WH - Yeah. <DW: Yeah> So this is something else that he’s carrying. That’s a symbol for a capability or a level of consciousness or something along those lines. And it’s identical to what we saw in Egypt as well. DW - Well, let’s have another one here. WH - Let’s see what we’ve got here. Okay, so this is another ascension image, a detail of it where he’s wearing this bright white garment indicating he’s a light being. He’s got the illuminated halo around his head as well. And he’s in the blue sphere again, ascending through this sphere. DW - And what’s the timeframe here? WH - We’re still… this is sixth century AD. WH - Yeah, sixth century, seventh century AD. DW - So by this point in sixth century, you’re only dealing with a relatively small number of generations since these events actually took place. <WH: Right> So there could be oral traditions. 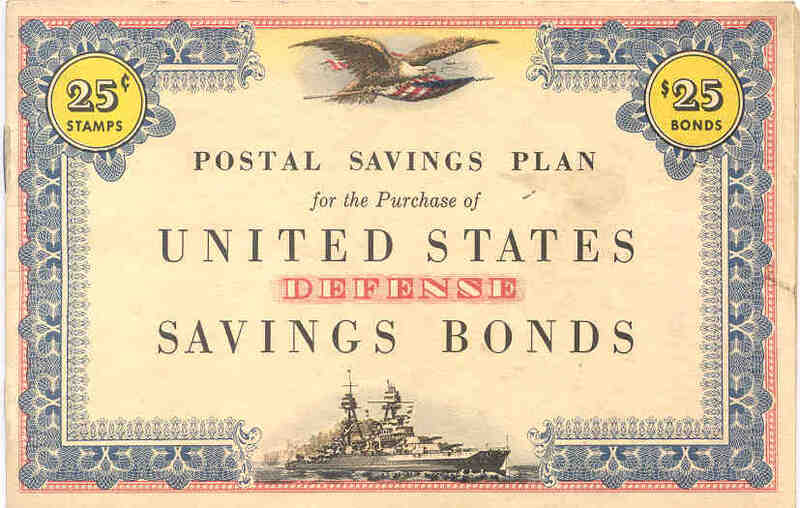 There could be hidden documents that would have been more readily available back then. WH - And there might have been more images as well. I mean, then we enter this age, they call it iconoclasm, where Islam comes along in the sixth century and they declare these images are… this is idol worship. WH - This is heresy. So they destroyed a lot of this. And there’s no telling what we’ve lost in terms of this imagery and other props that would really give us more clues about this ascension [and] technology. CG - [It’s] the same thing the Spaniards did when they came to South America. WH - Exactly, exactly. So what a loss! I mean, [it’s a] huge loss for us. But I think we’re reclaiming it today. And we have enough examples to where we can now start to piece it together. DW - Well, I can’t help but notice that there’s wing-like images in the red there. Is that part of what you’re wanting us to see? WH - Oh, yeah. Yeah, exactly. So those are gonna be those angelic beings that are symbolic of the heavenly power, celestial powers, and the power of flight. 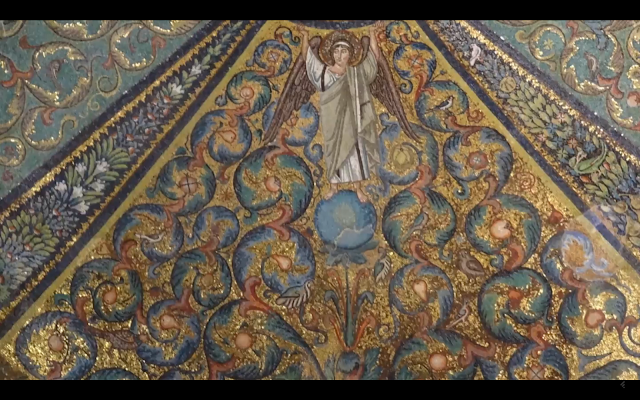 DW - Like the seraphim, cherubim. WH - Like the seraphim, yeah, exactly. <DW: Wow> Very cool, very cool. <Changing picture> This is one that is very provocative. 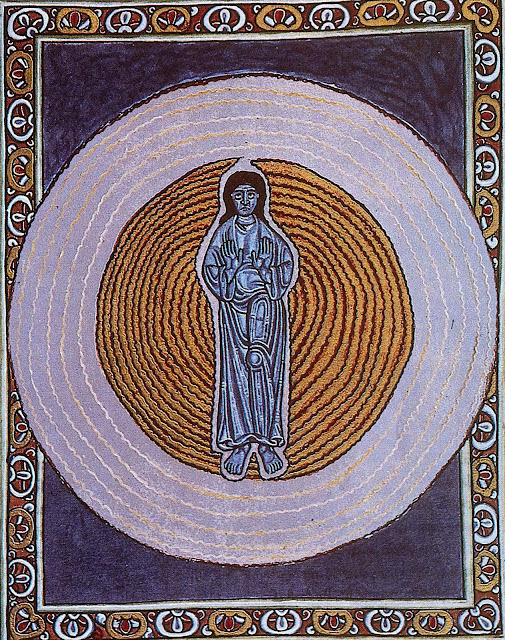 This is Hildegard of Bingen’s Man in Sapphire Blue. And she describes an experience where this man in sapphire blue manifested out of a blue flash, just like we were talking [about] earlier. And she sees him. And now he’s here beaming this energy to her. WH - And receive. Exactly. And establish a link, an energetic link, because the idea again is we all want to raise our consciousness so that we can have this experience that you had, right? DW - Corey, is it possible that the Blue Avians could change the way they look to [appear] more human to someone if they wanted to portray themselves that way? CG - Absolutely. I’ve never seen an example of that, but yes, absolutely. I mean, they’re a higher-density being. They’re manifesting out nothingness in front of me as Blue Avians. They could probably appear as a human if they wanted. But I have not seen an example of that myself. [Hugues Prévost Note: In my research, taking a human appearance isn’t such an advanced feat. Even ET groups in our realm can achieve similar results by the use of genetic and other types of technologies, such as a holographic projection superimposed on the ET’s body. DW - Yes. Yeah, this could actually be one of the same Sphere Beings. 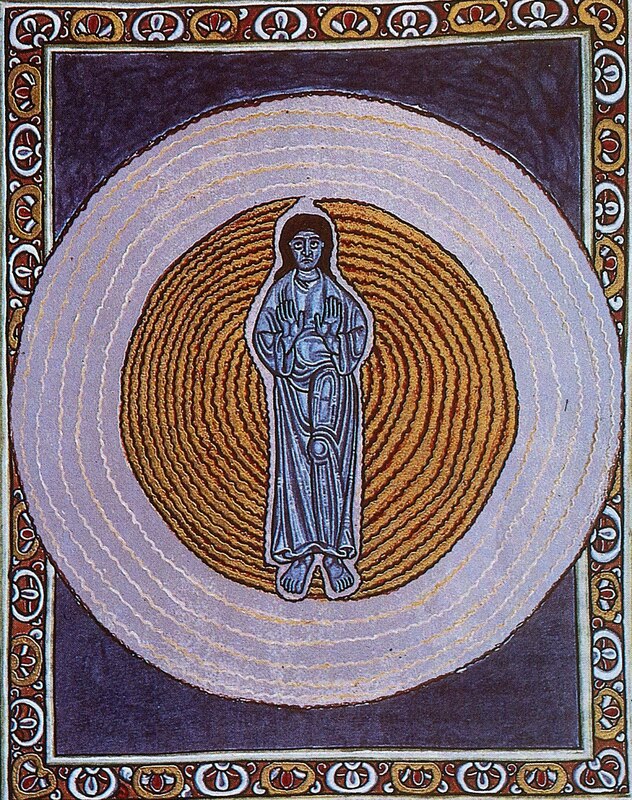 And Hildegard von Bingen, of course, is really important because of many visionary prophecies that she had [foretelling] the coming of the ascension and the conditions that would appear on Earth during that process. Her prophecies are right up there with Nostradamus, Edgar Cayce, … <WH: Definitely> all those guys. CG - Yeah. I’ve never… I mean, when was this? WH - [She’s a] German mystic, fifteenth century, sixteenth century (15th–16th c. AD). DW - Yeah. She had a lot of prophecies that already have been proven accurate, remote viewing the future, seeing the civilization we were gonna have, and predicting ascension. And isn’t it interesting—I didn’t know this until you brought this up, this guy actually—she said this guy visited her. <WH: Yes!> And this is her illustration of that. WH - Yeah, this is her visualization of this experience. WH - He’s coming in a blue sphere composed of concentric rings. WH - Right. It’s the same energetic experience. And he’s inviting her to come join [him], come have this experience. DW - When I first started doing readings, I got in touch with these being that were the Blue Sphere Beings, we were listening to Hildegard von Bingen Gregorian chant music all the time. And when you play that stuff, the sacredness… It’s like a portal. The music is a portal. WH - Right, it is. It establishes that sacred space. CG - Music changes your vibration. DW - Yeah, absolutely. I had no idea that she was visited by an angelic being like this. <WH: Yeah> That’s amazing. WH - The Man in Sapphire Blue, so she’s emphasizing that he is in this blue sphere and he is a Blue Sphere Being. WH - Yes. <DW: Wow> Yes, exactly. DW - Alright, so William, let’s have one more, because we’re just about out of time. But let’s just take one more slide and see what we got here. 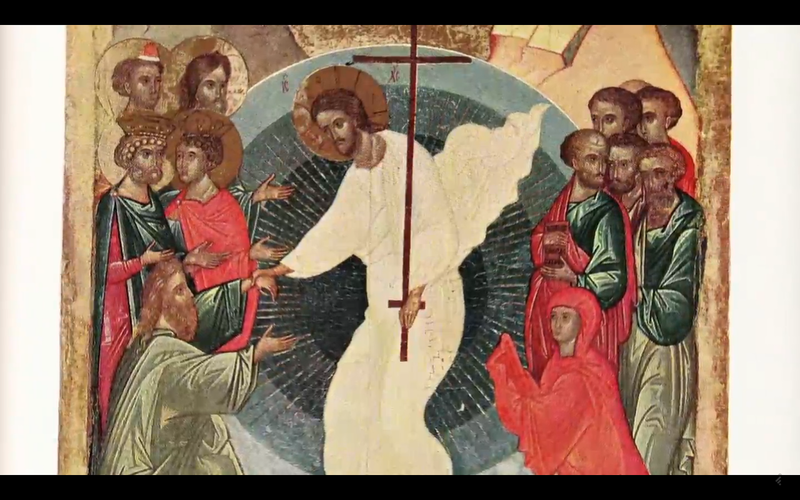 WH - Okay, so we looked at the transfiguration, where Jesus gives his initial demonstration. Here’s what you’ll all going to be able to do: drop your skin, become a light being, and open up this portal behind you. 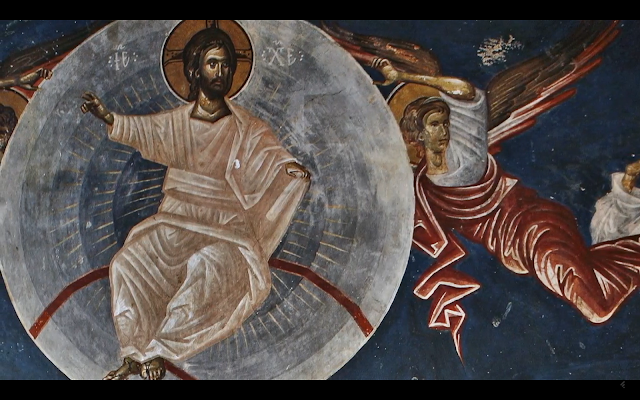 Then in the ascension, he actually ascends in this cloud. And that’s the way that they describe it in the Bible: he went up in this cloud. WH - And the key thing is in the Books of Acts. They describe him going. Suddenly two men dressed in white, who are very mysterious—[it] sounds like celestial beings or angels—appear and say, “Men of Galilee, why are you looking into the sky?” As you see Jesus going, he’s going to return exactly the same way he’s just left. So he’s coming and going in this ascension cloud. DW - I’ve got to throw this in. This is too good. Peter Lemesurier, the guy [who] wrote The Great Pyramid Decoded, has a whole section of the book where he explains that Galilee is a metaphor for our world right before it ascends, or as it’s ascending. WH - Oh my gosh. That’s incredible. DW - Yeah. So men of Galilee… <WH: Men of Galilee> He will come back the way he left. WH - Men who are going to ascend… <DW: Yeah> Yeah. And so Christian art, they got this idea probably from Egypt, that this ascension cloud is actually a portal or a gateway. And it’s blue! <CG: Yes> And so here he is, on the arcing rainbow, with the feet on the footstool in this blue sphere. WH - Clearly levitating, going through the heavens in these concentric rings filled with light. If that’s not a wormhole or a blue sphere that they’re indicating here, I don’t know what it is, right? CG - Right. I mean, yeah. DW - Well, that’s all the time we have for [this episode.] We want to thank you for watching. This is Cosmic Disclosure, and we’ll see you next time. Click here for a Summary and Analysis of Season 5 Episode 5.